I am a teacher by day, a mom and foodie 24/7. When I married my husband 10 years ago, I started watching one of my most favorite people on this planet, Rachael Ray, because she was so down to earth (that, and I needed to learn how to cook). I learned and continue to learn many things from her. I enjoy taking her recipes, eating them just the way they are, or making them my own. I have twins who love to help in the kitchen. My daughter especially loves cake decorating. And although I am not the best baker, I gladly “feed her hunger” for baking (pun intended). It doesn’t matter how messy my kitchen gets, I want to empower my kiddos with a passion for any type of cooking. In January 2011, my husband was diagnosed with a form of kidney disease. It was time for a change. I took on the challenge of having to feed him differently than what I was used to. That same year, my daddy became diabetic. I often cook for my mom and dad, so I knew I had yet another challenge of feeding him as well. 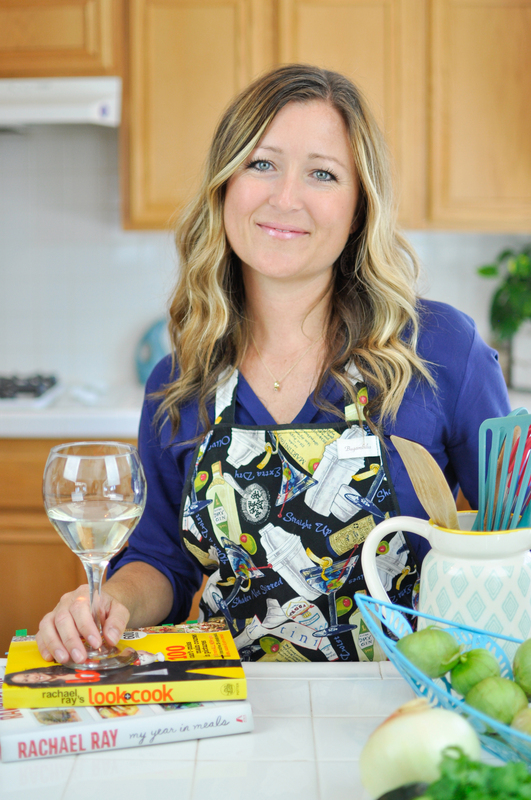 In any case, I love wearing my apron, having a glass of wine, and getting in the kitchen to make my family feel good about eating….and that’s what this blog is all about. Cheers! If I had to tell you what runs across my mind throughout the day, it would have to be food…food…and more food…and then maybe what kind of wine I should have with it too. 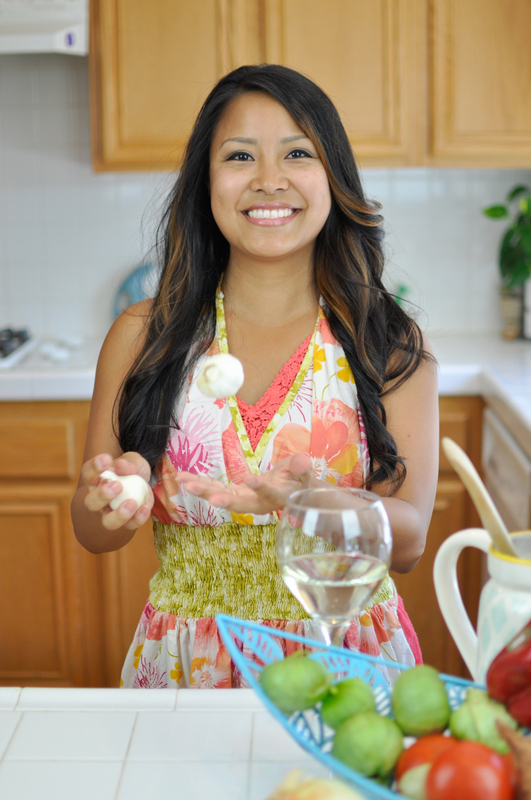 What kinds of dishes should I make at the potluck? What’s happening on the Food Network (which I have on all day)? What’s the new restaurant popping up in town? I have no idea how I find time to dream about these delicious goodies, but it’s part of what keeps my heart happy. I’m a marketing communications manager and wedding photographer by day, and a loving wife, doggy mommy and foodie 24/7. When my husband was diagnosed with rheumatoid arthritis at such a young age, along with his long-time high-blood pressure, it really pushed me to re-explore our eating habits. 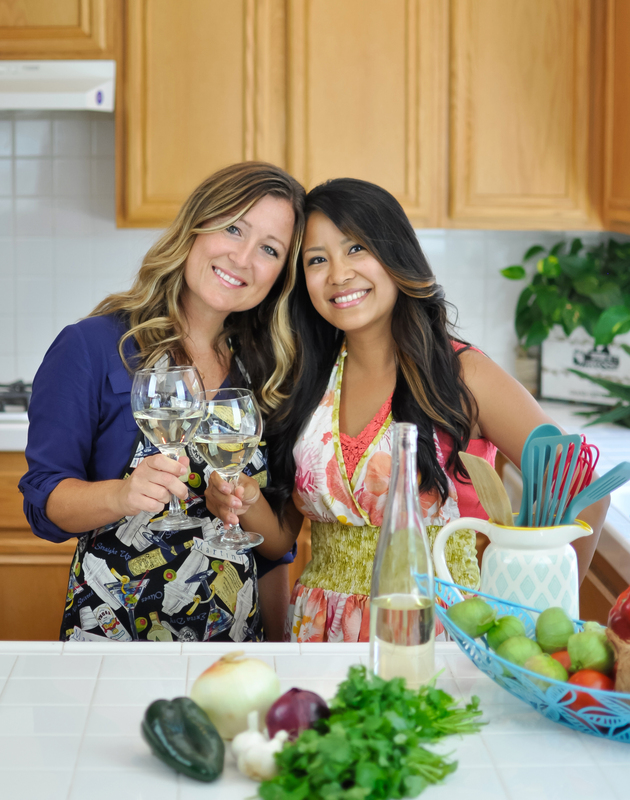 My passion for food, art and adventure, and love for my family are what inspire me to join this blogging journey with my amazing sister-in-law Tammy. Words can not even describe the joy we share when we’re cooking together in the kitchen. Together we’ll live strong and live long!